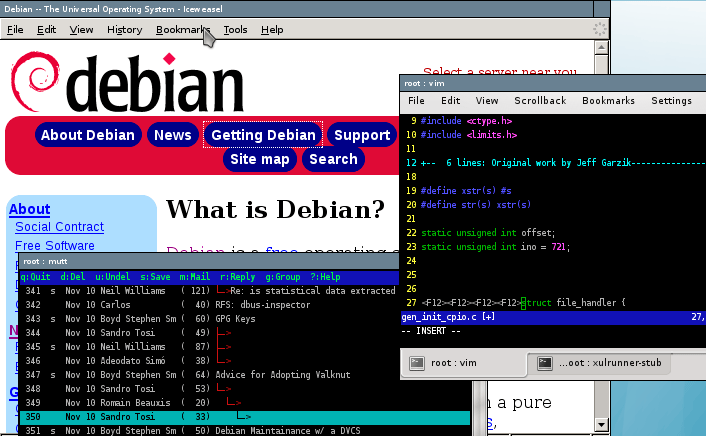 Debian 1.3 (Bo), released 5 June 1997, contained 974 packages maintained by 200 developers. The main difference from 1.3 to 1.3.1 is the inclusion of XFree86 3.3 . This solves a number of known security bugs and other problems in X. There are also bug-fixes to several other 974 packages. This is the Debian GNU/Linux Binary CD. It is part of a two-CD set, the other CD containing the source.